There’s no doubt that Artificial Intelligence (AI) is the future. Companies such as Google, Facebook, Microsoft, and others are also investing in AI research and consumers are starting to see the results. The release of self-driving cars is just an example of rapid AI growth. 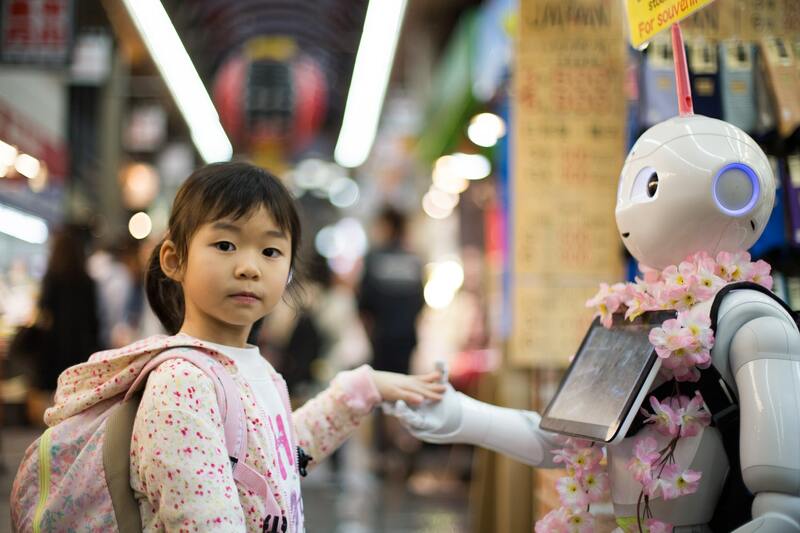 This blog looks at some examples of where AI is making an impact, how brands are changing the way they innovate and the potential threat AI has on the workforce. Amazon has introduced its AI-powered store in Seattle with an objective to eliminate the time-consuming part of the shopping experience – checking out. Amazon Go works as a physical expression of its 1-Click Checkout. In this, you “click” by taking an item off a shelf and when you walk out of the store, you will be charged for their value via the Amazon Go app. No human interaction, impacting around 2 million American cashiers alone. Amidst the ever-growing competition in the vehicle market, earlier this year, Ford announced that it will invest in a heavy amount of close to a billion dollars over the next five years in Argo AI (a recently formed start-up specialised in developing automatic vehicles). These vehicles create a mechanism that visualises like humans while collaborating. Due to AI-powered automatic cars, around 300,000 lives could be saved on the road by 2030. My previous blog about how the speed of fashion is hypothetically progressing faster than the speed of light supports the transformation that Tommy Hilfiger is adding to its creative process. Them adding AI by partnering with IBM is taking the competition in the clothing industry to another level. This will be used to decode the rapidly changing fashion industry and reaction towards every Tommy Hilfiger product. This will then be used for deciding around their designs from colours to styles. Introducing its own Chatbot to give out beauty advice on Kik messenger starting with the quiz on product preferences. At the end it will not only share the content that a person is looking for but also suggesting another related product depending on the preferences stated out. A great sales tactic with no human interaction. Their app “Record” is integrated with AI which not only tracks one’s workouts but also analyses their training and accordingly gives personalised advice. So is AI the greatest advance in technology we’ve seen or the biggest threat to mankind and the workforce? Too big a question for us to answer but on these examples, appears to be delivering benefits for the consumer without the total elimination of human interaction.